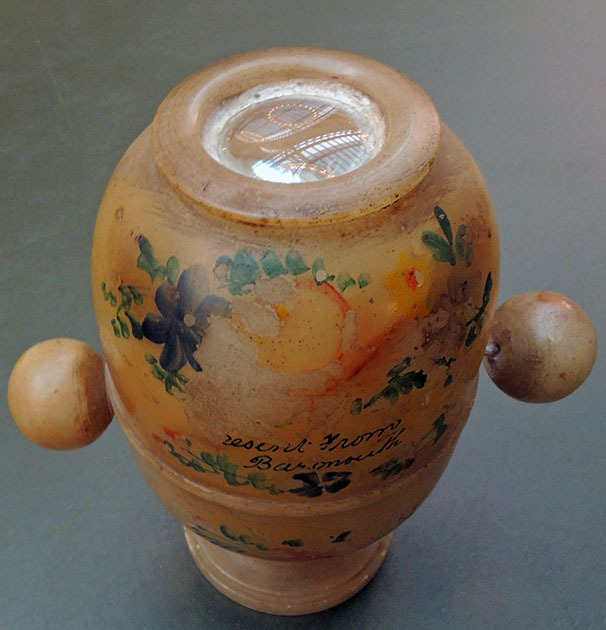 The “peep egg” is such a popular item when classes come to see the pre-photographic optical devices in the Graphic Arts Collection that we have acquired a second example. 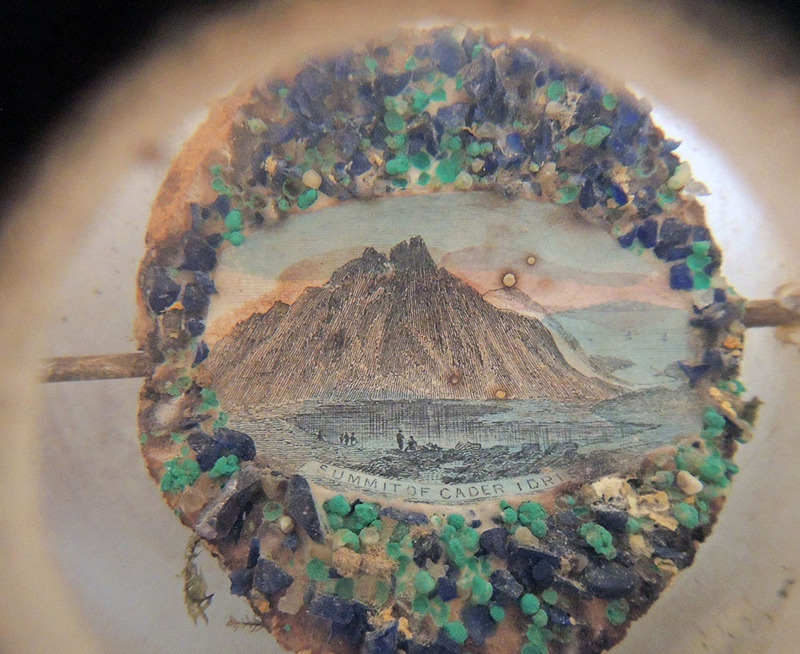 This alabaster viewer is loaded with two prints of Barmouth and its vicinity from around 1850, along with tiny examples of the crystals, stones, and dried plants in the area. Traditionally, these devices were given or sold as souvenirs. This viewer is approximate 123 x 72 mm, with a convex lens and two turned knobs. 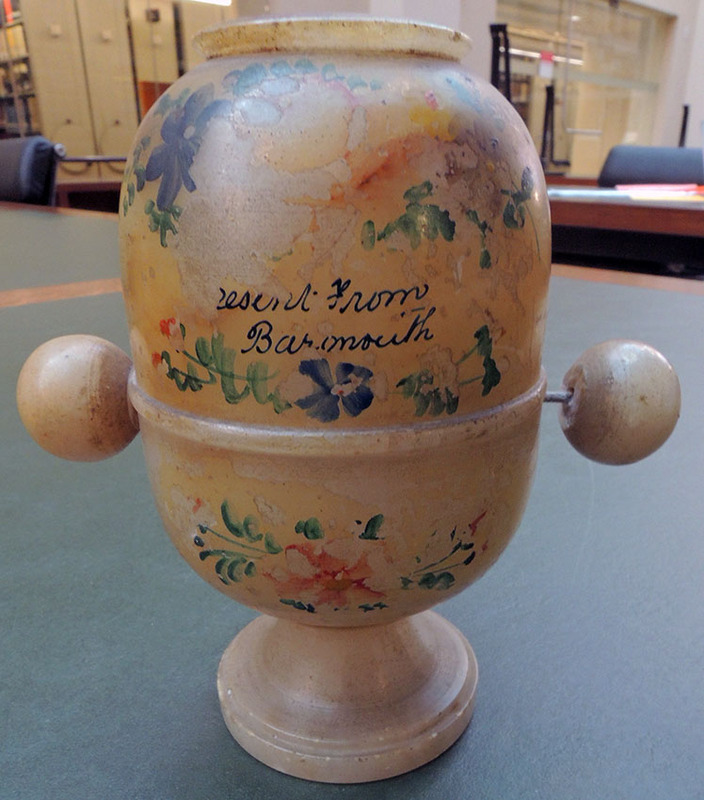 The words, “Present from Barmouth,” are painted on one side with floral decorations. One person at a time looks into the lens and turns the handles to see each of the views. Because the translucent alabaster allows light to pass through it, no outside light source is necessary. 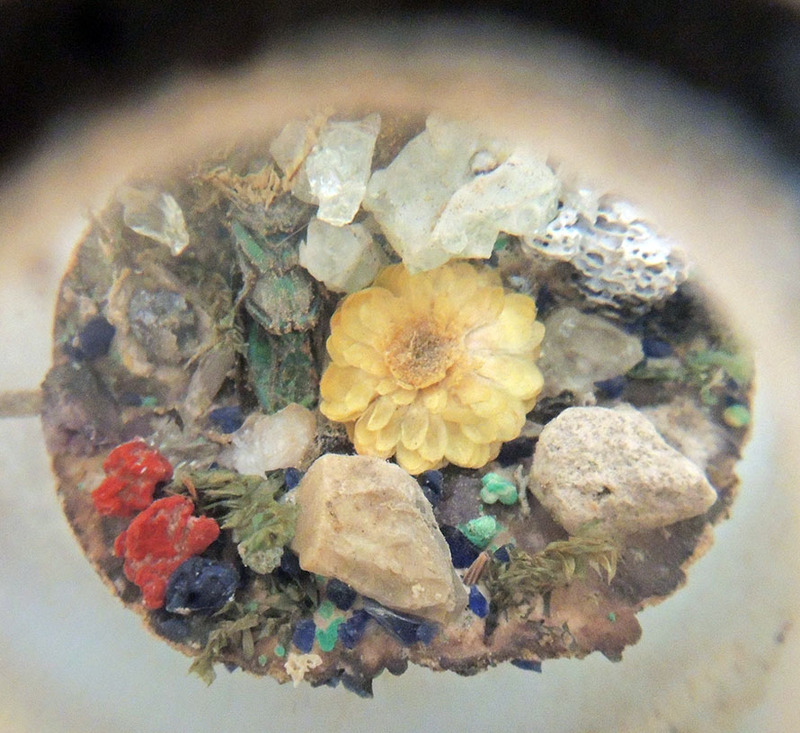 This entry was posted in Acquisitions, Museum object collection on November 14, 2018 by Julie Mellby.